Everyone knows how difficult is recruiting process, Hiring managers and Recruiters are people who struggle more in this process. These people will start with gathering resumes from portals and selecting suitable candidates and go through resumes to filter out duplicates. 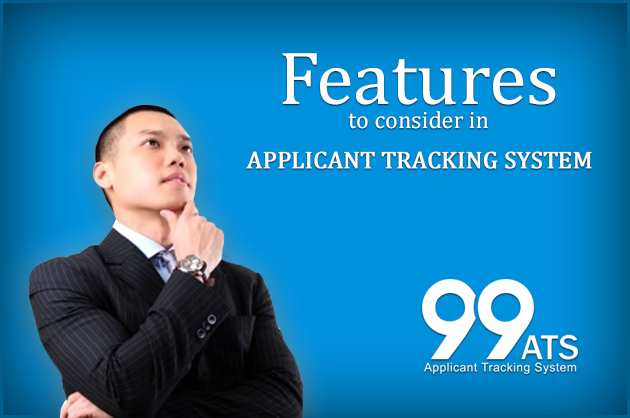 When candidates are selected recruiters will arrange interviews and proceed further to finalize candidate status. To overcome these obstacles, one needs an Applicant Tracking System in recruiting. You have an opening in your firm and you want to post in careers page. ATS should provide career page where you can post jobs with relevant description and other requirements like experience and salary. When you post jobs on career page the chance of getting candidates’ profiles is less compared to resumes available on job portals. As a recruitment department you will have logins for major job portals, an Applicant Tracking System should let you to extract resumes from job portals. Most of recruitment process will delay when team gets more resumes to fill up position and filtering profiles manually will take more time and efforts. Where your ATS should provide the filtering like job applied for and job posted by also you should be able to create customized report to send resumes to client. When organizations leave their email to get candidates resumes from website or job portals, will reach the recruiters outlook. Your ATS should provide integration with outlook so that recruiters can select the candidates from outlook with single click. Reporting will be major whether it may be internal or with candidates’ interview process. When your candidate reporting mostly called it as status is done with Applicant Tracking System your productivity will be more and time consumption will be less. Also your ATS should provide role-based reports and updates. Market is full of ATS providers but your recruiting will be simple and easy when you select right ATS.